from lost, stolen, or deprovisioned devices – without agents. Comprehensive control and visibility for any managed application including access control, data leakage prevention, malware protection, user behaviour analytics and more. Zero-Day read-only control of any cloud application, e.g. Facebook, Box, LinkedIn etc. Users can view and interact with these apps, but not upload any content. 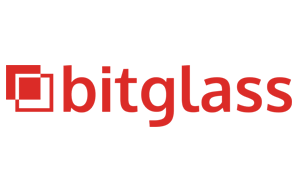 Bitglass’ patented agentless mobile data protection provides control over corporate data and applications on personally-owned managed devices, without MDM profiles or software agents. Automated, transparent deployment requires no IT or employee intervention. Detect and block anomalous user behaviours, such as a hacker (or even a rogue privileged user) login in from new devices or locations, or attempting to download unusually large amounts of data from a cloud app. Bitglass’ unique Next-Gen agentless architecture enables rapid deployment at scale preserving end-user privacy. Bitglass secures your data across any cloud app and any device. Aquion supplies several technologies to ensure security and privacy of data on premise and in the cloud. We understand the technical requirements of customers using SAAS applications, Cloud Infrastructure and other cloud-based technologies regarding access and policies for cloud data and application usage. Aquion has installed Bitglass in a wide range of customers and can help you plan and implement the technology.